In Exchange 2013 RTM and Exchange 2013 CU1 you may occasionally receive the following errors in your Outlook clients as seen below. 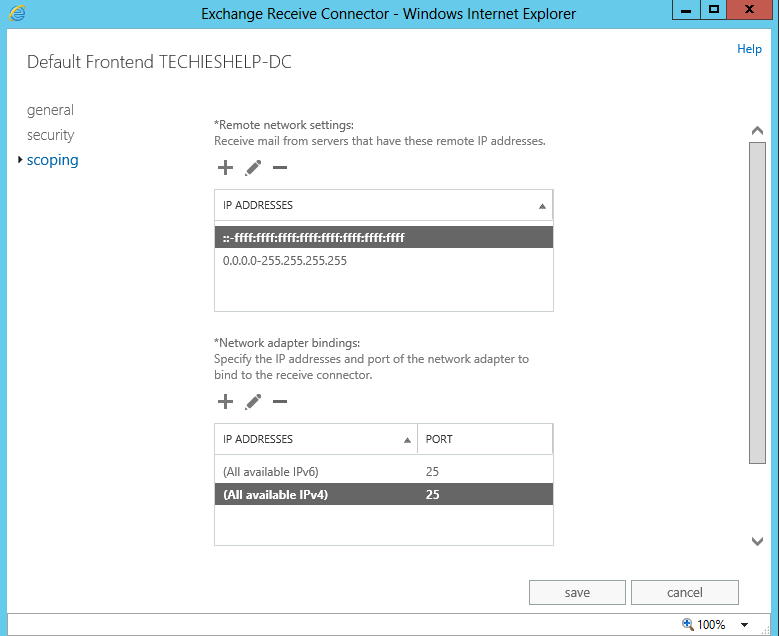 This is currently a know problem with Exchange 2013 and can be resolved with the following. By default the standard frontend receive connector is bound to all addresses on the server as seen below, this is now know to occasionally cause issues with DNS lookups. We need to change the setting here to the specific IP address that the Exchange 2013 server uses and also put a line in our hosts file. 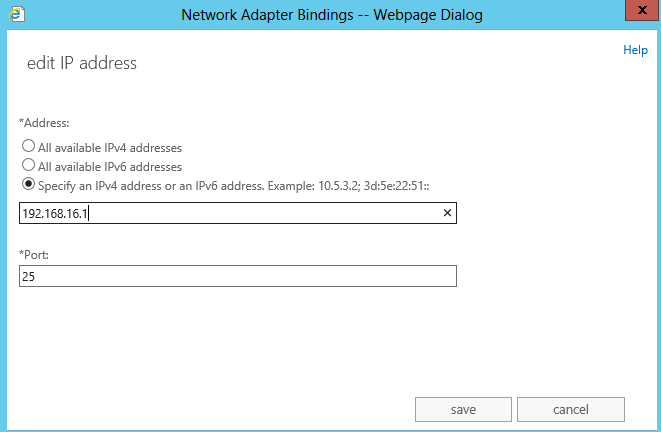 To edit the bindings in Exchange 2013 click the pencil sign above to edit and change the ip address to the Exchange servers NIC as seen below. 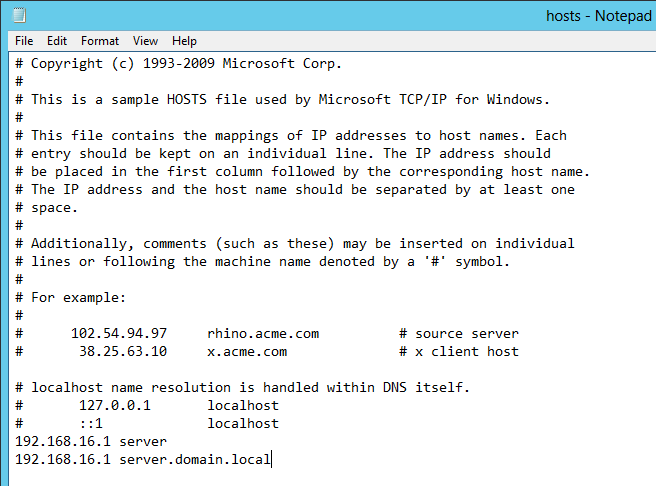 Edit the host file and add entry’s for your Exchange 2013s IP and its host name, for example. As seen here. Then reboot your server and you will not receive the Exchange 2013 451 4.7.0 Temporary server error. Please try again later. PRX5 error.